What is l'école des loisirs? 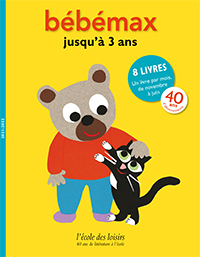 l'école des loisirs is one of the most important French language publishers of children's books. For over 50 years we have been publishing illustrated books, novels and comic books that have gained international recognition for their creative qualities. L'école des loisirs is distributed worldwide. What does a Max Book Club subscription offer? Reading in another language offers children the chance to immerse themselves in another culture and build their intercultural competency. 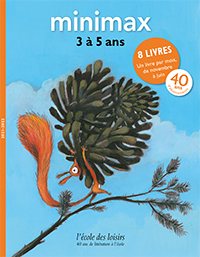 Our lively illustrations and texts reinforce children's comprehension and appreciation of the French language while instilling a joy of reading. During the eight months, either on Individual or a Group subscription, you will receive a book a month. Any later subscription in the year will allow to receive all the eight books. An individual subscription allows to receive a book mailed directly to your home monthly. Our fill out the INDIVIDUAL subscription form included in your brochure and give it to your Max facilitator with your payment by check made out to l'Ecole des loisirs. We offer a special group rate when a minimum of 3 subscribers are to receive their books at a single address (school, daycare or nursery, association or home). Teachers may apply to create a reading book club for the class. The schools may offer the subscriptions to the families at the beginning of the year (we can send as many brochures as necessary). All the books are labelled for each subscriber when they arrive and then distributed among them to be brought home. In bundling subscriptions in a group, a school is eligible for a gift: 1 free subscription for every 12 subscribers. Did your child's school send you the brochure? Just fill out the GROUP subscription form and return it to your child's teacher with a check (US or CAD) made out to "L'ÉCOLE DES LOISIRS", or follow the instructions indicated in the brochure to pay in your own country's currency using either Paypal or a credit card. For more information, see the names of the Max facilitators below to contact one of them. To guide you in choosing a series for your child based on his comfort with the French language, please consult this guide. 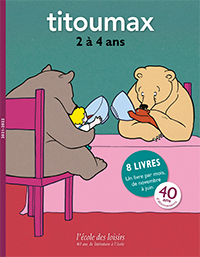 BÉBÉMAX – Bright and colourful books with simple, funny sentences that stimulate curiosity. 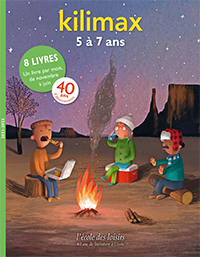 TITOUMAX – Little stories about daily life that use familiar words about heroes who have lots of imagination. 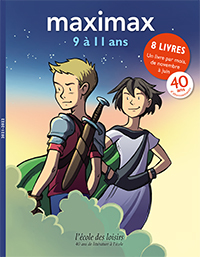 MINIMAX – Slightly longer stories though still with heroes ready for big adventures. KILIMAX – More complex storytelling where images and text are strongly linked. They're lovely stories to recite. 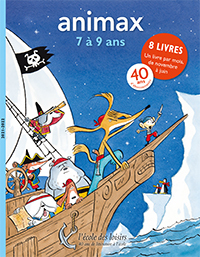 ANIMAX – Illustrated novels, albums and comics built around fantastic worlds and exciting story telling. MAXIMAX – For kids who love adventure! These embody diverse points of view on discovering the world around us. 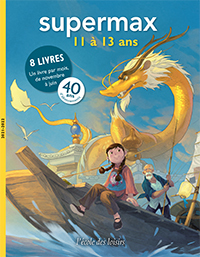 SUPERMAX – Novels and comics that unlock children's curiosity as they set out on a journey of self-discovery through amazing adventures. 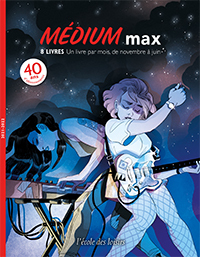 MEDIUM MAX – Stories aimed directly at adolescents. The heroes are amazing and the themes universal. Create a group at your school, daycare or home?